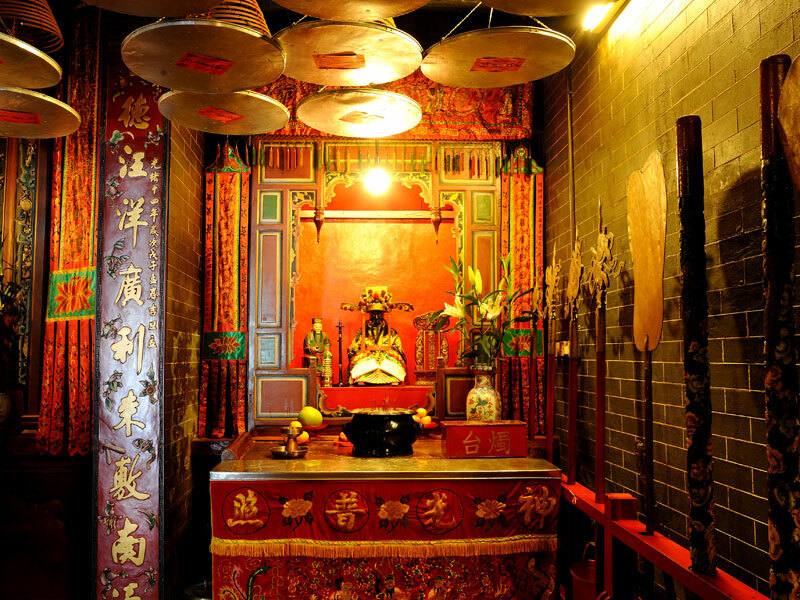 Hung Shing Temple in Ap Lei Chau is a Declared Monument. It was probably built in 1773 for the worship of Hung Shing (Deity for protecting fishermen and sea traders). 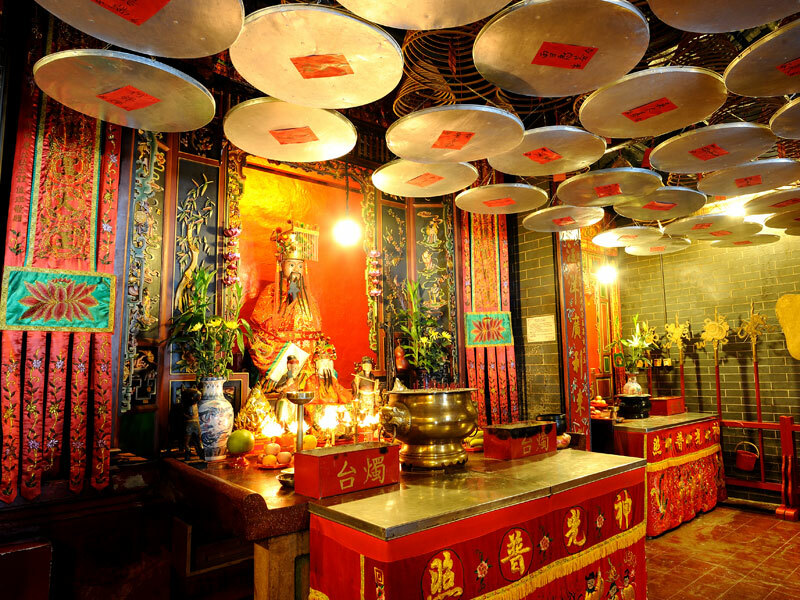 Other deities include Kwan Tai (God of War), Tai Sui (Sixty Gods of Time), Man Cheung (God of Literature and Bureaucracy) and Kwun Yum (Goddess of Mercy), etc. 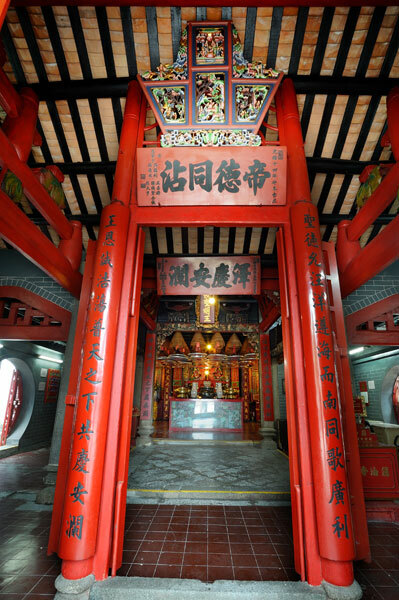 The Temple is one of the very few traditional temples in Hong Kong still keeps its original fungshui setting (sea-oriented). Ap Lei Chau is a fishing community, villagers made their living by shipbuilding, fishing and marine trading. Worshippers believe Hung Shing (also named God of South Sea) would assure their safety and bring them good harvest. Hung Shing is a famous deity in the Southern China, also named the "God of South Sea". The earliest temple of "God of South Sea" found in the Guangdong Province was believed to be built in the Sui Dynasty. Worshippers believe Hung Shing could save them from marine danger. In the Tang Dynasty, Hung Shing upraised by the Emperor as the "King of Kwan Li" (廣利王) which represented good fortune. In the Song Dynasty, the "King of Kwan Li" renamed to "King of Hung Shing Kwan Li" (洪聖廣利大王). According to legend, Hung Shing was a virtuous official in the Tang Dynasty named Hung Hei, who had established an observatory which enabled accurate weather prediction. It was said that his spirit had saved many lives from typhoons and local disasters. Thus, the Emperor crowned Hung Hei the "King of Hung Shing Kwan Li". The Temple adopted a "Two-hall and Three-bay" layout with skylight located between two halls. 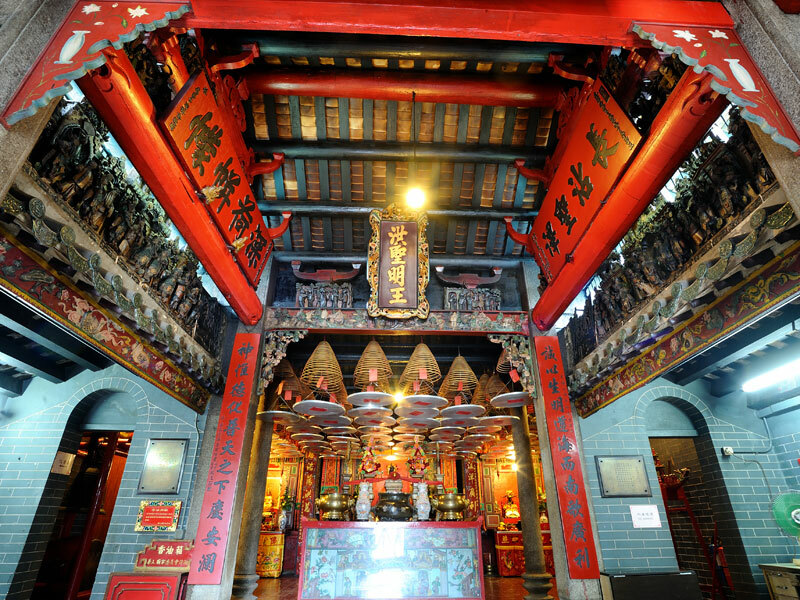 The temple structure supported by five pairs of pillars is not commonly found in Hong Kong. The ceiling of the passageway was decorated with Shiwan ceramic figurines featured civil ministers and generals, while the "God of Sun" and "Goddess of Moon" can be found at each side of the roof ridge. The eave board at the entrance of the Temple engraved with traditional auspicious symbols, such as peony and chayote. 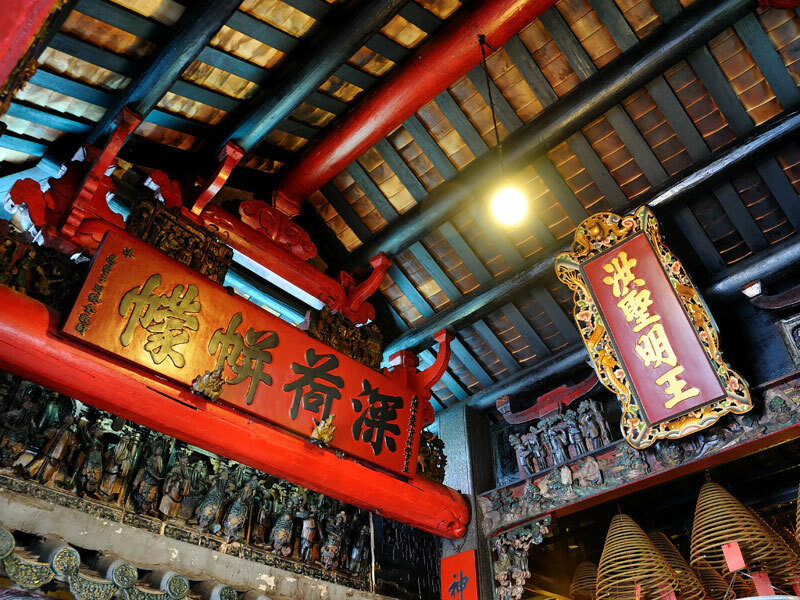 Historical relics survive in the temple, including a bell cast in 1773 and Shiwan potteries made in the Qing Dynasty. Hung Shing Festival falls on the 13th of the Second Lunar Month. It is one of the major annual events in the community of Ap Lei Chau. According to custom, Parade and Cantonese Opera will be arranged for celebration. Worshippers flock to the Temple with sacrifices. 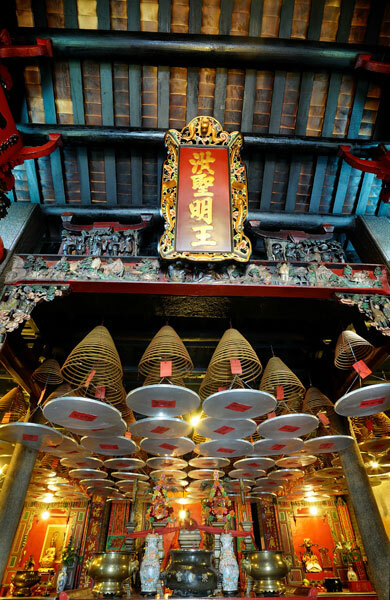 Apart from Hung Shing Festival, people usually visit the Temple at the beginning and the end of the Lunar Year as well as the Dragon Boat Festival, etc. 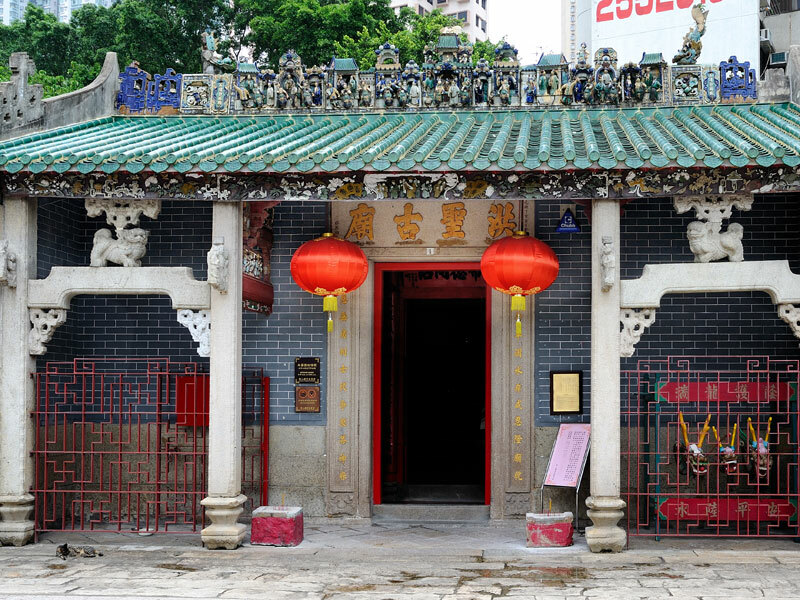 Apart from Hung Shing, the temple also houses Kwan Tai (God of War), Tai Sui (Sixty Gods of Time), Kwun Yum (Goddess of Mercy) and Man Cheung (God of Literature and Bureaucracy). This temple underwent major renovations in 1988, 2005 and 2014.